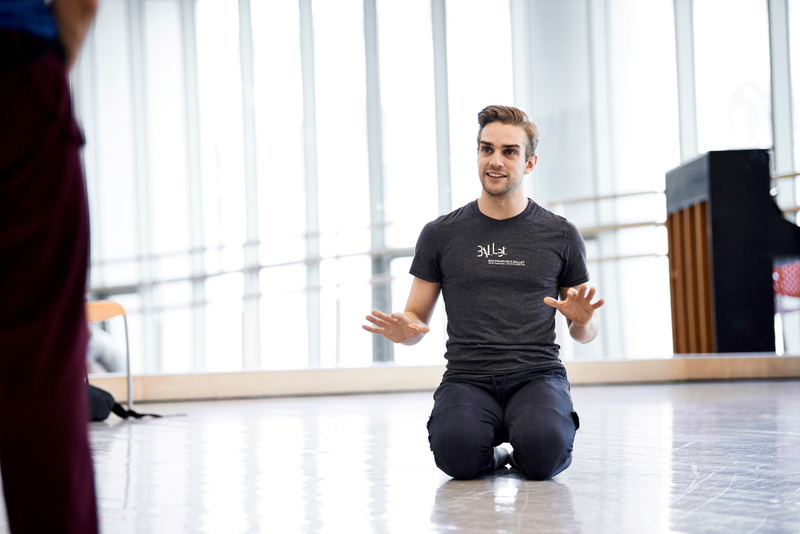 Myles Thatcher first came to Pacific Heights when he lived in the dorm for San Francisco Ballet School students on Jackson Street. He joined the company in 2010, and still lives nearby. As a member of the corps de ballet, he has danced in everything from Swan Lake to Balanchine gems to world premiere works by today’s hottest choreographers. In fact, Thatcher, one of S.F. Ballet artistic director Helgi Tomasson’s youngest commissioned choreographers, has created some 15 one-act works himself — and he’s only 28. This month, you can see him perform when S.F. Ballet presents John Neumeier’s heart-wrenching story ballet The Little Mermaid from April 19 to 28. When did you know you had to become a ballet dancer? I started dancing when I was 8 or 9 years old and couldn’t imagine doing anything else. I started training seriously at 13 or 14 and moved away at 15. You left home at 15? I’m from a small town in eastern Pennsylvania, and it’s hard to find a ballet school that’s high caliber enough to get you into the career circuit. I moved to Boca Raton to a place like a ballet boarding school. From there, I moved to New York City to train, and then I joined the top level of the S.F. Ballet School. I fell in love with the city and company when I did a summer program here at 17. I just knew if there was any way I could live and work here, I wanted to pursue it. I remember telling a dance teacher I wanted to do choreography, and she rolled her eyes. I kind of lost interest as I was getting my technical abilities up to par, but then we had this opportunity to choreograph. I made my piece on trainees at the S.F. Ballet School, and Helgi Tomasson chose mine to go to a festival the National Ballet School of Canada was hosting. That went well, so they asked me to do another piece for the S.F. Ballet School. 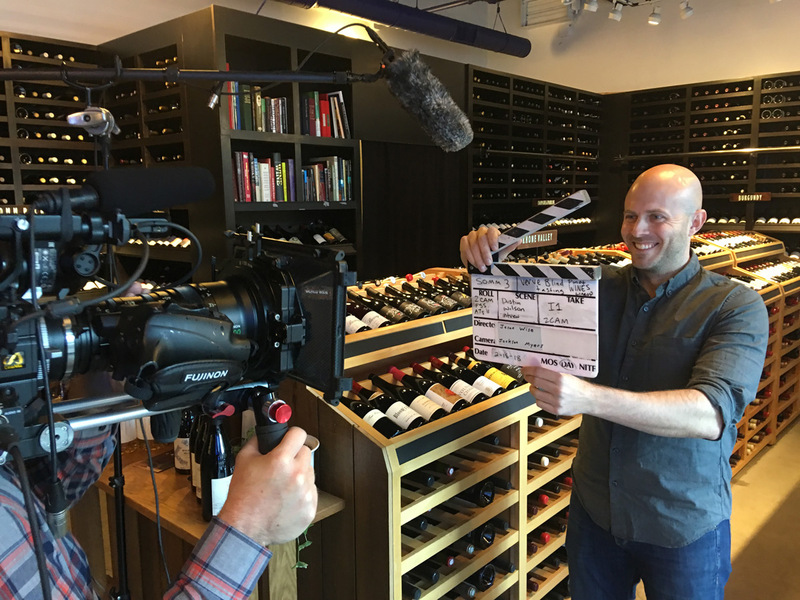 Helgi asked me to do work for the company, and from there I started working with other companies, nationally and internationally, for galas, competitions, films. Would you prefer to be known as a great dancer or a great choreographer? I would not give up choreography to pursue anything else. I’m happy that I’m setting the groundwork for when I can no longer dance. The average age to stop dancing is the mid-30s, though we have some dancers in their 40s. Right now, I’m balancing the two. I would not want to stop dancing yet, but it’s a short career. Creating dances is a beautiful way to express myself in this art form in a different way. It allows me to discover things with other people. You can’t do ballet alone. You can’t learn it off YouTube. The human element is why it’s survived all these years. Explain a bit about The Little Mermaid. It’s not your typical Disney version. It’s a really powerful and moving story about giving yourself to a person who doesn’t have the capacity to give back. The mermaid sacrifices a great deal to try to be with him. The story might be a metaphor for a poet character who is constantly at the mermaid’s side, who might have been in love with a straight man. By the end, we realize the mermaid and the poet narrator have been dealing with events in kind of the same way, like a thread through the piece. What will you be doing in the piece? John Neumeier is just a genius storyteller. Being able to work with him, you realize every step in that ballet has a narrative intention, down to the steps for the corps. I’m one of the dancers who make up the sea; we wear long blue skirts with white at the bottom. We also reflect the mermaid’s emotions: She comes from a peaceful place where she belongs and goes to a place where no one’s really happy, so there are moments we reflect tumultuous feelings. Once she gets on land, I am one of the ship’s passengers and wedding couples. What do you do on a typical day off? Many days, a few dancers will go to Roam on Fillmore to unwind and have a burger. A little bar called Fat Angel always has an interesting selection of wines and beers, and they have a really good mac and cheese. Upper Fillmore has changed a lot, but I kind of grew up going to La Med, and I still go back there. 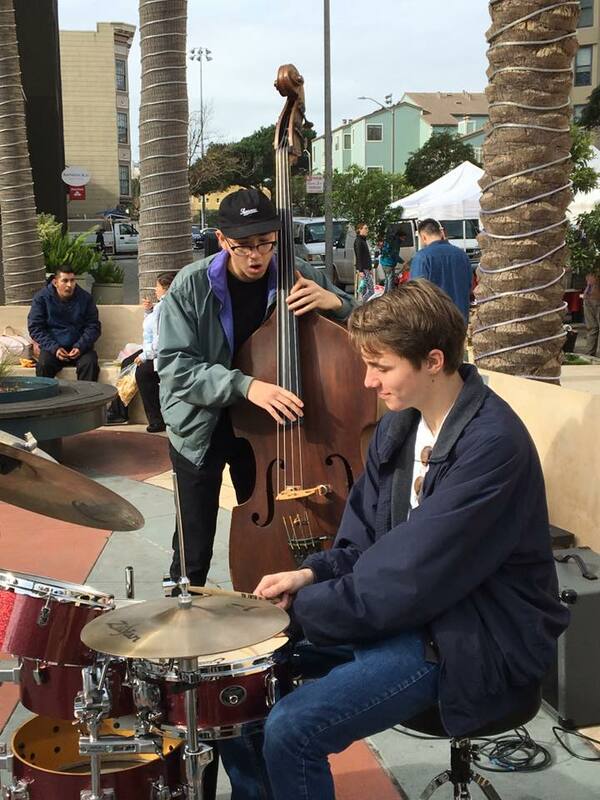 Budding musicians from the SFJazz High School All-Stars perform at the Fillmore market. 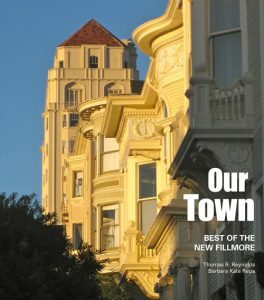 MIA SIMMANS, manager of the Fillmore Farmers Market since last May, is a true believer — both in farmers markets and in the music that makes the Fillmore market unique. In fact, two of the combos that regularly perform at the Fillmore market — the Dave Parker Sextet and the group now headed by Kenny Rhodes — have been playing at the Saturday morning market at Fillmore and O’Farrell for more than a decade. But it can be a tough way to make a living. Most markets can’t pay musicians anywhere near what they’re worth. The mothership organization, the Pacific Coast Farmers Market Association, is a nonprofit and is typically strapped for funds. 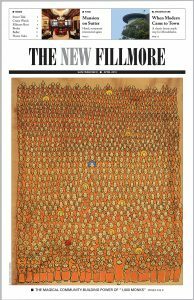 The Fillmore market currently pays nothing at all; musicians only pocket the tips from grateful listeners and passersby. But Simmans is determined to change that. She takes inspiration from the pluck and perseverance of Tom Nichol, who founded and managed the Fillmore market for a dozen years until shortly before his death in 2015. The two were friends. Opening night of the Fillmore Heritage Center in November 2007. Four days before Christmas, he filed for an injunction to prevent the city from further leasing or selling the center. The issue is scheduled to be heard on February 13. Sharonjean Leeds returned to the stage in the finale of Smuin’s Christmas Ballet. 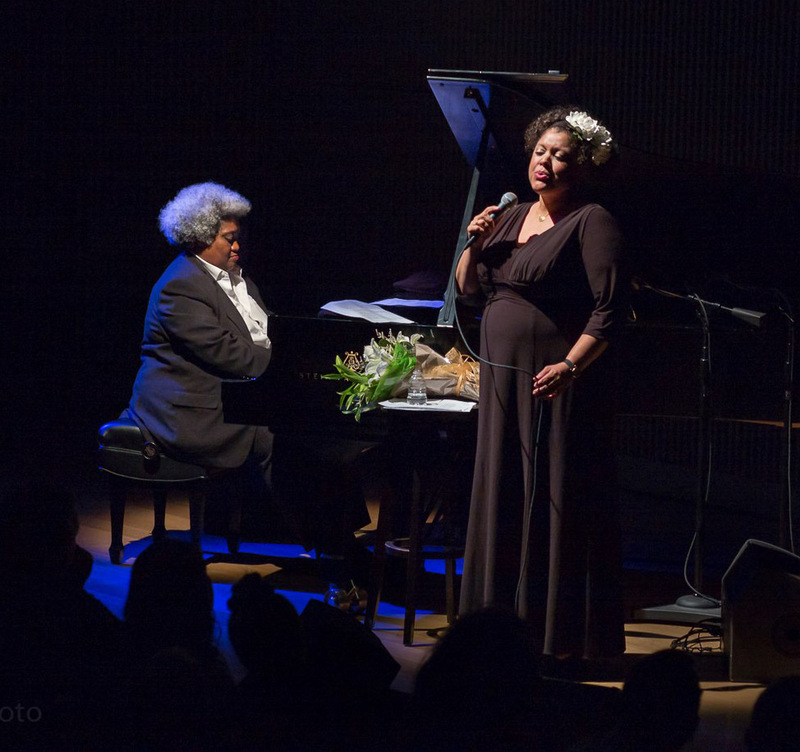 The New Year was still a couple of weeks away when a unique celebration of birth, rebirth and family joy took place at Smuin Ballet’s annual Christmas Ballet at Yerba Buena Center for the Arts. 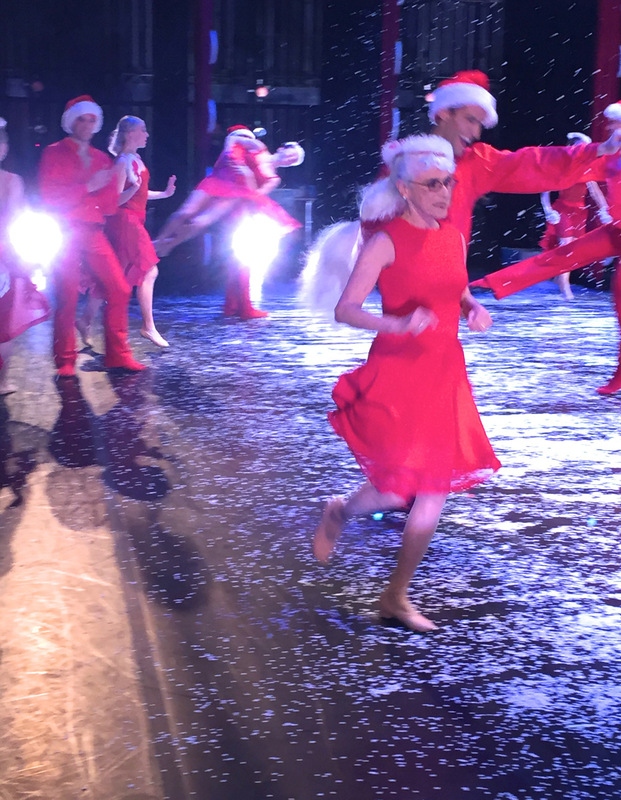 Sebastian-Alexander Gottschalk, age one month, was in the audience when dancer Sharonjean Leeds, age 70+, spun her way across the stage in the traditional White Christmas finale. Each had overcome more than a few odds to be there. Sebastian arrived at Kaiser Hospital on November 14, eight weeks ahead of schedule. His mom, Shaunte Gipson Gottschalk, is a nurse and was quick to get to the hospital when things indicated he might make an early appearance. His dad, Georg, who works with MuleSoft, a Salesforce company, was inconveniently on a plane in London, about to take off for India. “If you’re headed to India,” the doctor texted, “you’re going the wrong direction.” Several trips through international security and one Chicago connection later, Georg got home to meet his new son at one minute before midnight. Sebastian, who weighed in at 2 lbs., 2.7 oz., then spent his first few weeks in Kaiser’s Neonatal Intensive Care Unit on Geary. Baby and mom at his first ballet. Soon after they got him home, the new parents looked at their tickets to the Christmas Ballet, a long family tradition, and decided to introduce Sebastian to Smuin. 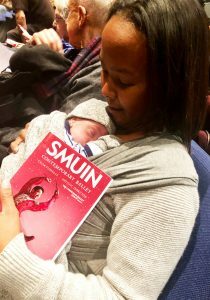 Bundled in a baby wrap, mittens and blanket, he snuggled his way happily through the performance. Onstage in the finale was dancer Leeds, longtime ballet teacher at the University of San Francisco, who several years ago might have seemed unlikely to walk again. A fall in her Presidio Heights basement in 2016 left her with a pelvis broken in five places and a badly broken left arm. Once out of the hospital, she spent five weeks in rehab and two months with in-home care — but then set about getting back to dancing. Leeds had last danced onstage in New Shoes, Old Souls, a piece for three women and one man choreographed by the late Michael Smuin and performed in the spring of 1999. She continues to take classes with the company. So when her husband, local dentist Rick Leeds, bid on a walk-on Christmas Ballet appearance at Smuin’s 2018 gala, artistic director Celia Fushille created a feature role in the finale instead. Septuagenarian dancer and tiny audience member didn’t meet at the event. But both (with his parents speaking for Sebastian) agreed the event was a spectacular way to usher in the new year. THE LIGHTS ARE back on in the Yoshi’s complex at 1330 Fillmore. 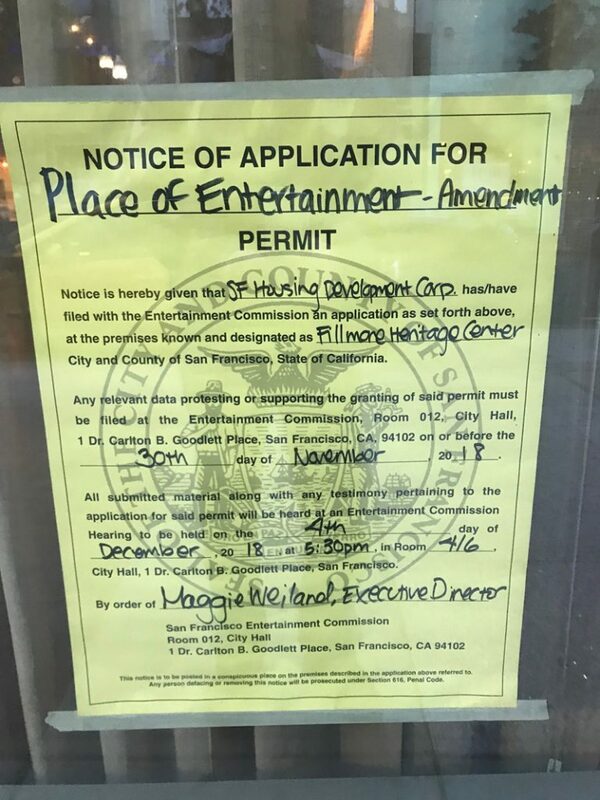 The nonprofit San Francisco Housing Development Corp. — which, it says, has been “building homes and hope since 1988” — is taking over the space, at least temporarily. 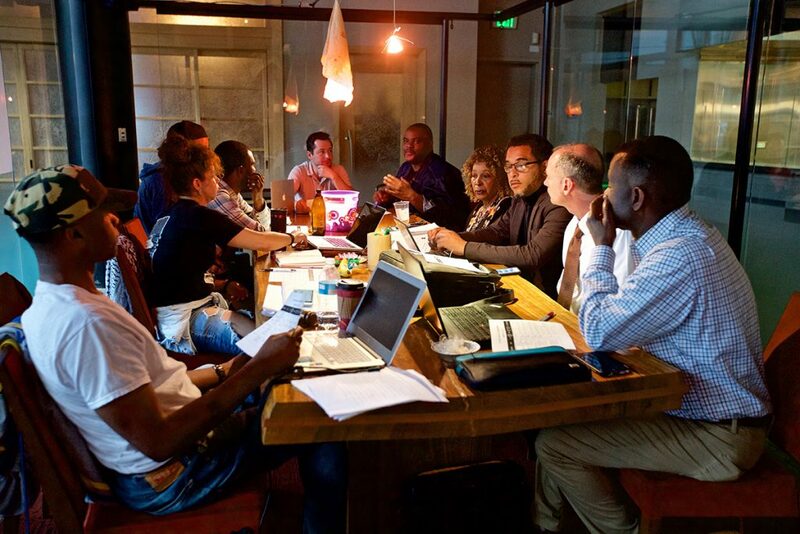 The affordable housing group from the Bayview has applied for a permit from the city’s Entertainment Commission to offer performances and other activities in the 420-seat nightclub and vast restaurant space, in conjunction with the New Community Leadership Foundation, a local collective. 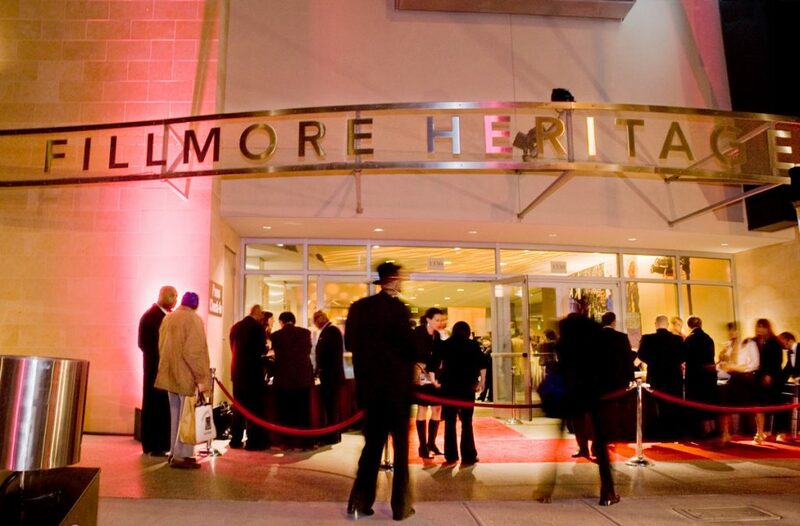 The 50,000-square-foot Fillmore Heritage Center also includes a screening room, gallery and parking garage. It has been shut down since January 2015. 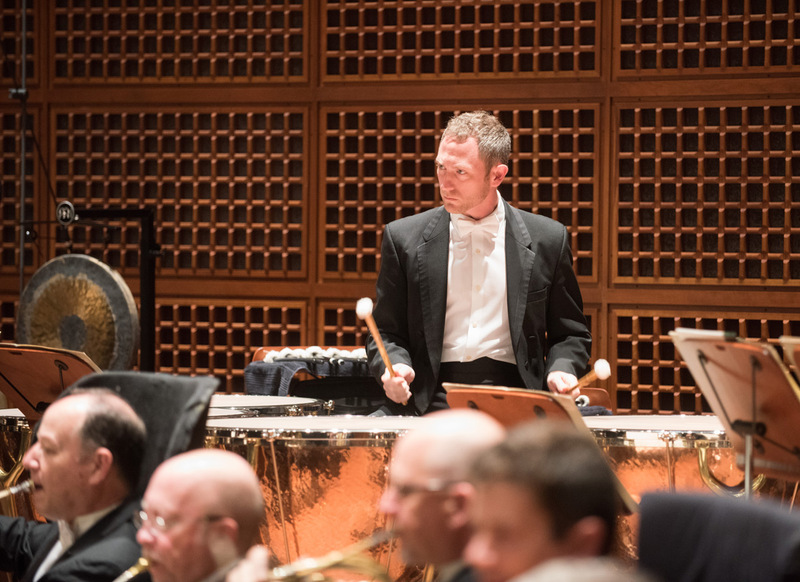 Being the San Francisco Symphony’s principal timpanist is just one of the things keeping Ed Stephan busy these days. He’s also head of the percussion department at Duquesne University in Pittsburgh; on the faculty at the San Francisco Conservatory of Music and at Northwestern University in Chicago; and timpanist of the Grand Teton Music Festival in Jackson Hole, Wyoming, where he’s spent much of the summer. The Pacific Heights house he calls home is being sold, so he’s been looking for another place in the neighborhood. And the symphony’s new season begins this month. Stephan is particularly looking forward to the Stravinsky Festival. The orchestra, conducted by Michael Tilson Thomas, will perform the composer’s Persephone and The Firebird from September 21 to 23; and his Violin Concerto, Petrushka and Le Sacre du Printemps (The Rite of Spring) from September 27 to 30. 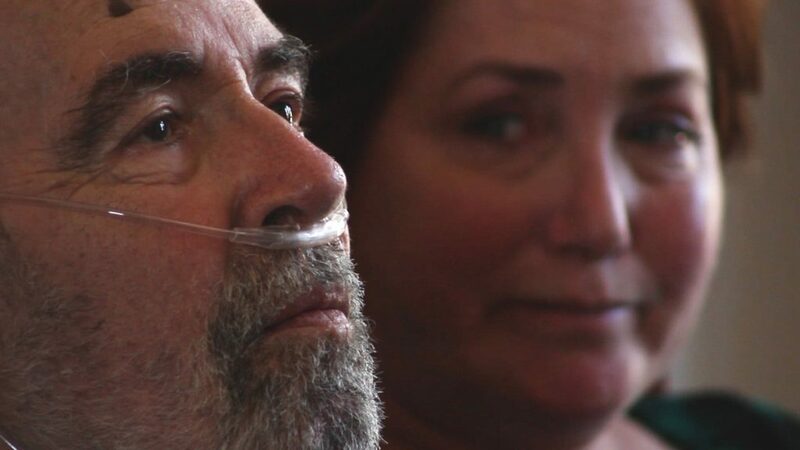 Kelly Johnson and his daughter Leda Meredith in the final minutes of his life on May 7, 2018. 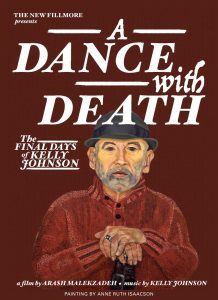 KQED TODAY OFFERS a preview of the New Fillmore documentary A Dance With Death, screening Wednesday night, August 15, at 7 p.m. at the Clay Theatre on Fillmore Street. It tells the story of longtime Fillmore resident Kelly Johnson’s decision — after a celebrated career as a dancer, musician and vaudeville performer — to end his life earlier this year.